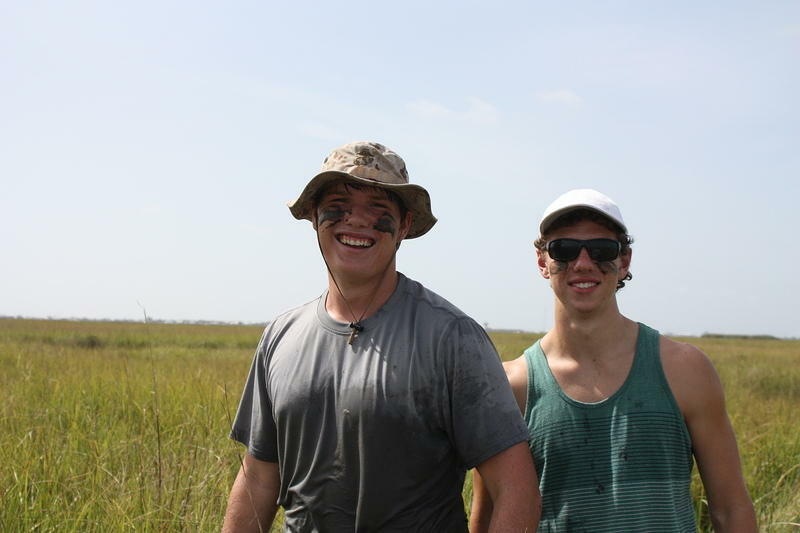 The Coastal Waters Consortium is made up of a diverse group of scientists all committed to better understanding how the Deepwater Horizon oil spill has affected our wetland habitats. We have scientists looking at plants, sediments, birds, fish and even worms. For most people worms, are one of two things: disgusting or boring. Dr. Kersey Sturdivant views worms in a completely different light. He is able to understand and appreciate the critical role these organisms have in the benthic ecosystem. It is well known the positive influence that terrestrial worms have on gardens by eating dirt and digging burrows, but many people do not realize that terrestrial worms have aquatic counterparts who do similar things. The consumption of sediment combined with the burrowing activities reworks the sediment in a process called bioturbation. This process promotes, aeration (an increase in oxygen levels), and mixing up the sediment and the nutrients to create a healthy bottom. Since these organisms are so important to benthic ecology, Dr. Sturdivant was curious to discover what affects the oil spill might have on those organisms. 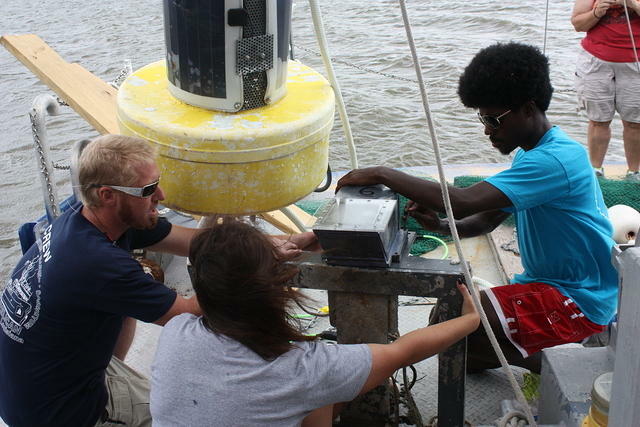 Since September 2012, Dr. Sturdivant has been using the aptly nicknamed “Wormcam” to monitor the polychaetes (worms) and other macrobenthos (animals within the sediment) movements in the sediments. The study compares locations within Terrebonne Bay that were defined as heavily oiled versus sites that were considered not as heavily oiled. The Wormcam is a precise combination of a mirror, strobe, and camera that allow us to be able to see a small profile of life underneath the sediment. Wormcam is set to take one still picture every half hour. With combined water quality data we get a very good view of what is occurring below the surface and relate it to the water quality. 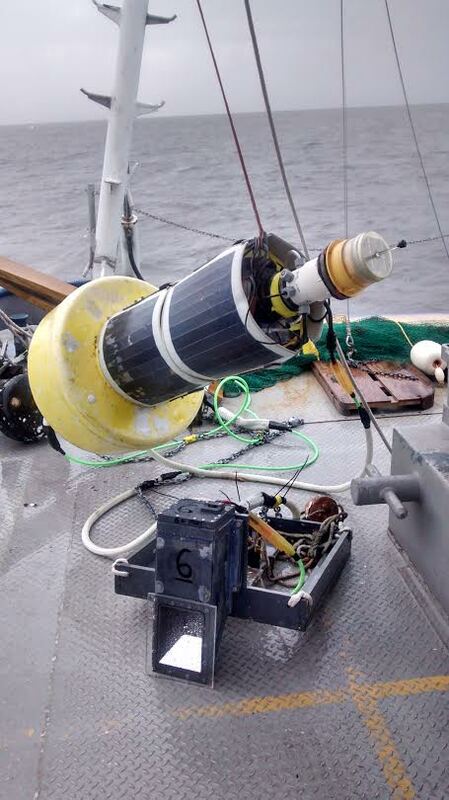 In order to minimize the amount of time spent servicing the equipment, it is connected to a buoy with solar panels. All of these data are saved to a memory card (as back-up), and are also sent in real time via satellite. 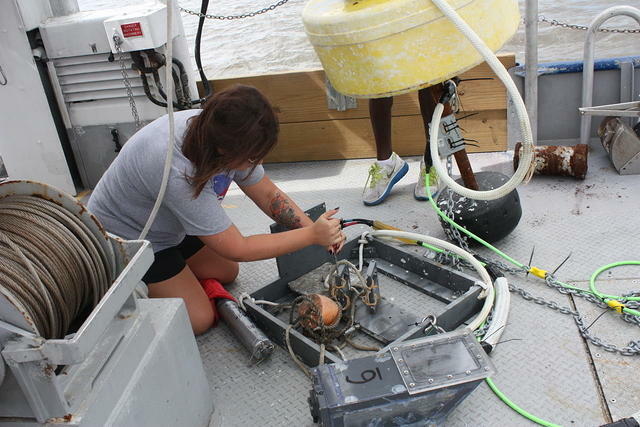 Dr. Nancy Rabalais, Executive Director of LUMCON and CWC scientist finished her 30th hypoxia cruise in the Gulf of Mexico. We are excited to say that both CNN and the NOAA website have featured articles with Dr. Rabalais findings. To read the full articles go to the links below. Ask someone to picture a scientist and they will describe a man in a white lab coat. Ask someone to picture a marine biologist and they will describe someone who works with dolphins, whales, or sea turtles. Ask them what a field scientist does and they give you an idealized television version of field work. After the last the two weeks of hosting the 2014 sessions of LEAD camps allowed us to dispel these illusions for both groups of campers. With a one week crash course in coastal science and research they were quickly introduced to the wonders of the ecosystem beyond the standard megafauna. On the first day we had the campers jump into the mud feet first. Literally! 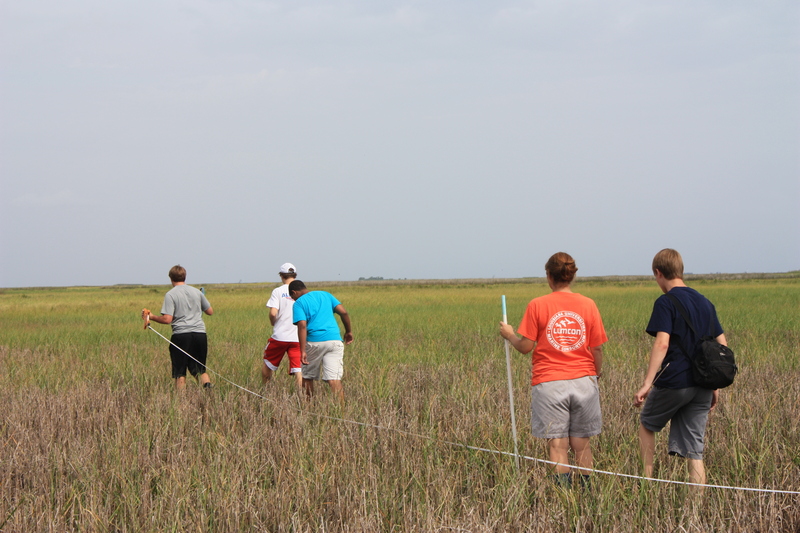 We introduced the campers to transects, a commonly used method for studying environments, in the marsh near LUMCON. Once in the marsh we gave them a hula-hoop as a quadrat, a defined area picked at random, to put down at certain intervals along the transect. We then asked them to find all the periwinkle snails in the quadrat and then mark them with a small colored jewel for a mark-recapture study that we would finish later in the week. Within just a few hours everyone was super muddy which made for a great story and bonding experience. 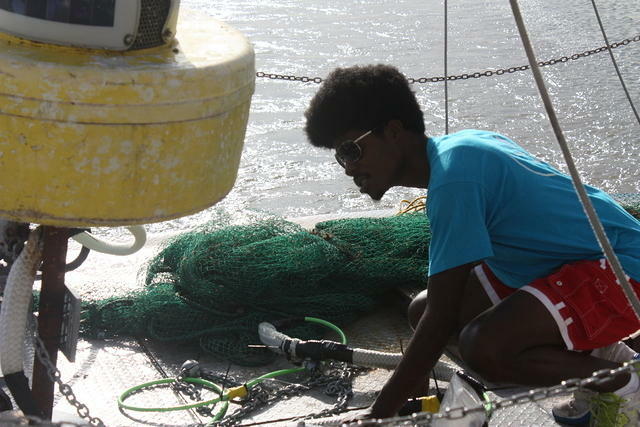 On the trip we ran three trawls, three plankton trawls, and got the water quality data. 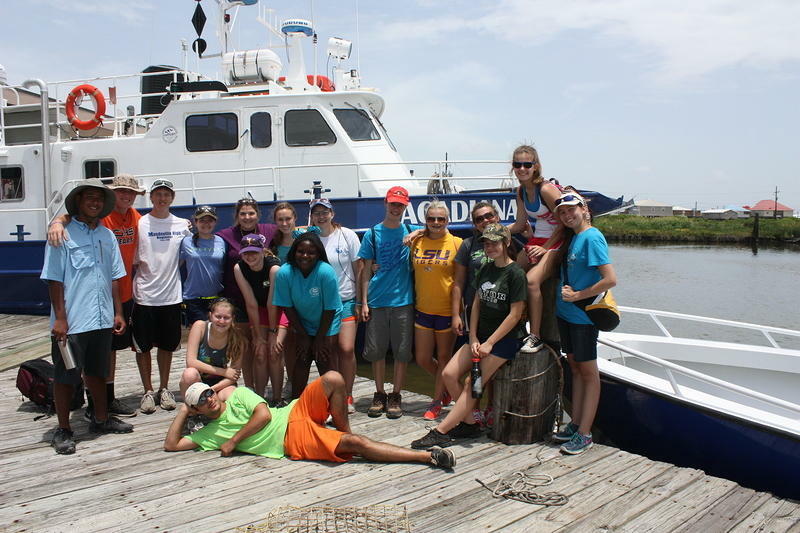 After pulling up the animals in the trawls, we helped them identify the fish, shrimp, squid, crabs and other creatures in the trawl and then let the campers loose to organize and count the number of each species. 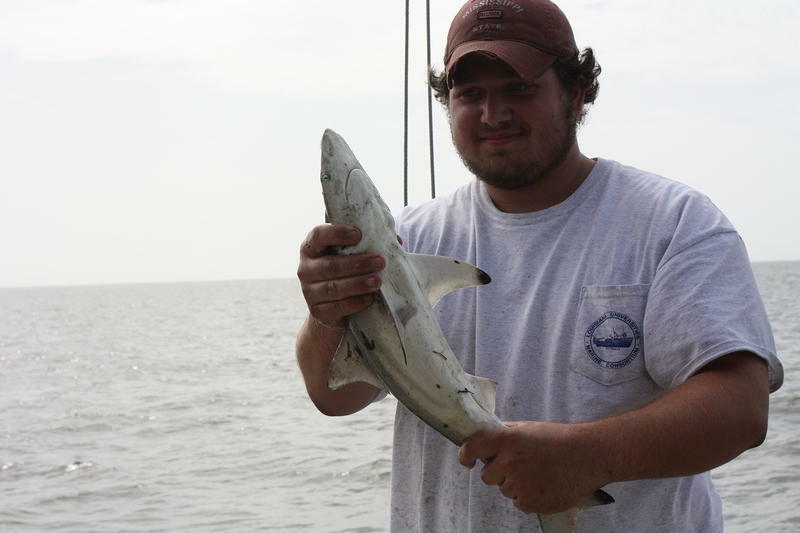 The biggest surprise was the fact that we caught a shark in our first trawl! We didn’t just to lessons in field work, but also gave them a better understanding of anatomy and physiology of the animals in the ecosystem. The campers were able to do not one, not two, but three dissections. They started the dissections with the more basic squid, learning about how the form of animal helps its function. Even though the squid is a more basic animal, it was a good introduction into the dissection process and gave them an inside look into these bizarre creatures. Many did not realize how simple the squid was and were amazed by the complexity of the squid’s behavior. 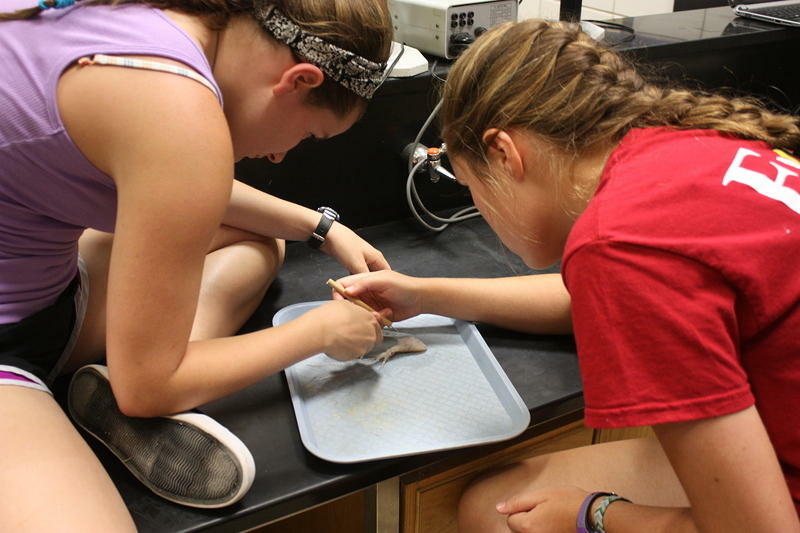 We were also able to introduce the campers to a fish dissection, delving deeper into the important idea of form and function. Throughout the lecture, we gave the campers the tools necessary to make educated guesses about the type of life style that fish has based on how the mouth is shaped, the fins are shaped, and the shape of the body. After cutting into the fish they were able to see the inside anatomy that most people don’t even stop to look at when cleaning fish. We even let them open up the stomach to reveal their fish’s “last meal”. One group found a whole anchovy in their stomach. Our last dissection was focused on the largest fish in the ocean: the shark. Since sharks are chondrichthyes, they have a skeleton made out of cartilage instead of bone, and they are large predators they have certain adaptations that allow them to be successful. Every night the campers had to report their findings by making graphs and charts on large poster paper. This teaches the students valuable lessons in data management. The first night, many realized that legible handwriting and organization are important while collecting data in the field otherwise reporting the data is much harder. They also began to realize how hard it is to manage data, and figure out the best way to report the data in a clear, neat and concise form. It was always interesting to see how each group would precede in presenting their data. 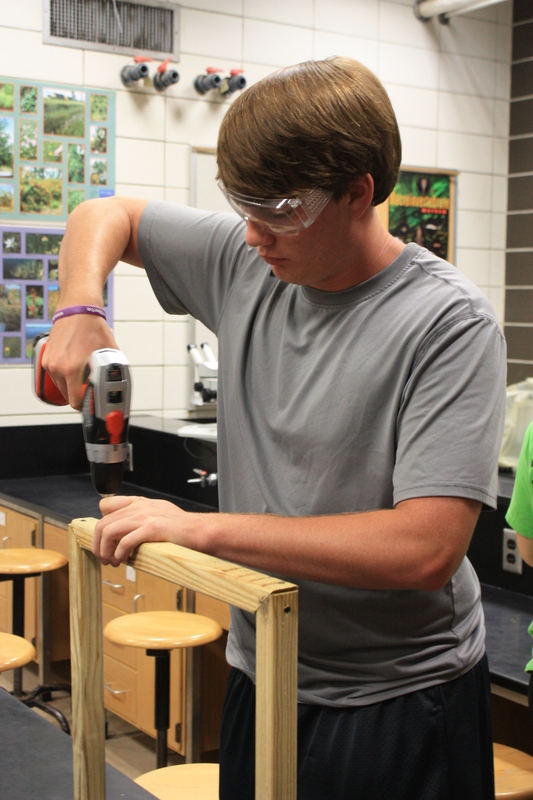 Not only did we have the campers doing scientific field work, but we got them involved in some conservation. 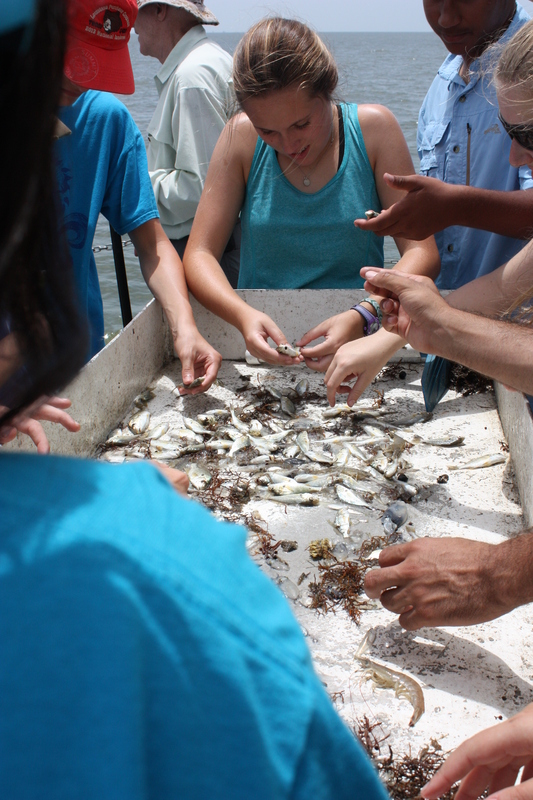 The campers learned about the life cycle of oysters and how the small oyster larvae, or spat, are dependent on hard surfaces to settle and become an adult. 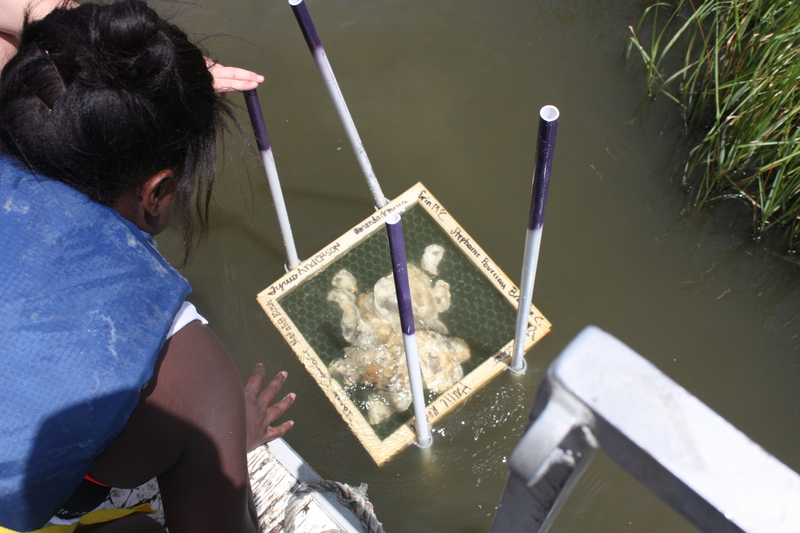 When humans harvest the oyster they often are not able to return the shells reducing the complexity of the oyster reef habitat as well as reducing the amount of hard surface available. After a long day in the marsh, we had the campers help to build structures that once filled with oyster shells provide that hard, complex habitat that attracts small oysters and many other creatures. The next day we were even able to deploy them out around the bayou. We marked the spot with purple topped PVC pipe that they had painted. 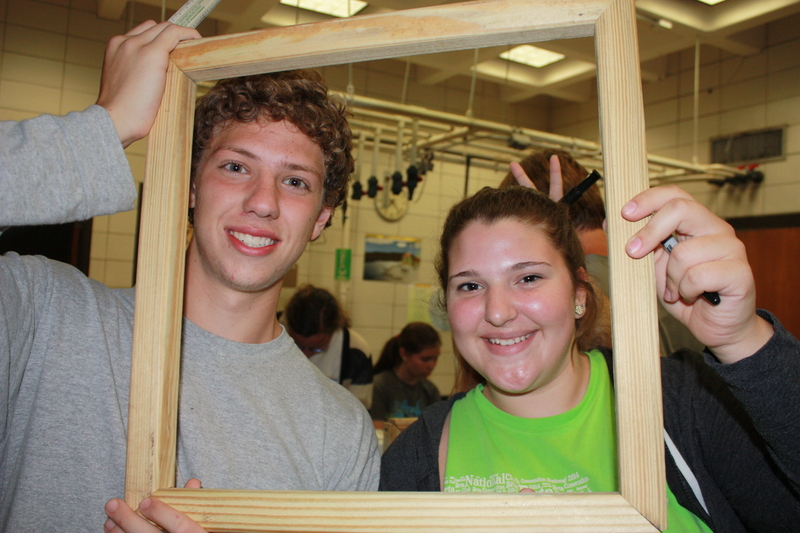 LEAD camp gives high school students the ability to truly understand the physical and mental challenges of being a field biologist. This year we had amazing groups of campers that were upbeat and enthusiastic about all we threw at them. At the end of the week they were exhausted, but they were able to experience so much. We hope that next year will be just as great.